The world of work for HR Operations is about to get a whole lot easier. Robotic Process Automation (RPA) means HR can reduce the manual steps that make up time-consuming HR processes, such as compensation changes or onboarding. The technology allows all the programs you use to communicate with each other in the background and complete processes—without human intervention. Enhance your tech know-how and download our quick overview, PeopleDoc Tech Takes: Robotic Process Automation. 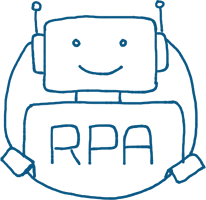 RPA is our latest innovation that makes life easier for HR. When HR promotes an employee in their HRIS, they have to change the employee's position, pay, and possibly payroll and benefits information. However, HR knows there are many other tasks that need to occur with a promotion; tasks that could take hours to complete. With PeopleDoc RPA, HR can perform all the necessary activities, beyond the data transactions, in a matter of seconds—without lifting a finger.